​​ ​DALLAS – WeWork, the largest shared office space provider in North Texas, is growing its regional footprint with a new location in Victory Park. 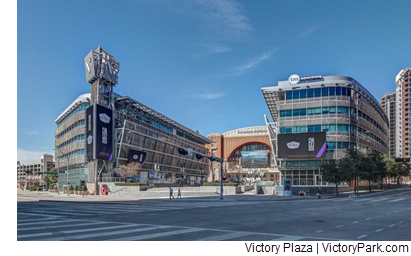 The New York-based firm rented two full floors of offices in the Victory Plaza building at 3090 Olive St. at the entry to American Airlines Center. The 52,000-sf co-working center will include everything from private office suites to communal workspaces. ​Check ​out Dallas-Fort Worth-Arlington Office Market Research.